Samsung's Artik 10 board costs more than the $35 Raspberry Pi, but it has a better GPU and more storage and memory. Samsung’s Artik 10 developer board will compete with the Raspberry Pi 3, but not on price. The Artik 10 is priced at US $150, and can be ordered from Digi-Key’s website. That’s a much higher price than the $35 Raspberry Pi 3, but the Artik 10 offers a better GPU and more storage. A shipment date for the Artik 10 board wasn’t immediately available. The Artik 10 has all its components mashed onto a circuit board, much like Raspberry Pi. The board is targeted at enthusiasts looking to make smart gadgets, appliances, robots, drones, sensor devices, and industrial automation equipment. The board has eight cores, broken up into four ARM-based Cortex-A15 cores, to take on demanding tasks, and four low-power Cortex-A7 cores for lighter use. The 32-bit CPUs are not as advanced as the 64-bit quad-core ARM CPU in the Raspberry Pi 3. The Artik 10 has better graphics with the Mali T628 MP6 graphics processor, which can play high-definition video at 120 frames per second. 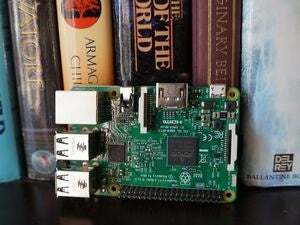 The GPU is a weak point of the Raspberry Pi 3, which can play HD video at 60 frames per second. Artik has 16GB of flash storage and 2GB of LPDDR3 memory, better than the Raspberry Pi 3, which has 1GB of RAM and requires a separate SD card for storage. The Artik 10 also has the ZigBee wireless feature, which isn’t available in Raspberry Pi 3. Both the boards have Wi-Fi and Bluetooth. Artik 10 has USB ports and GPIO, UART, I2S, I2C and SPI connectors. Samsung already sells the $99.99 Artik 5 board, which is smaller and meant for wearable devices. The boards can connect to the Artik Cloud for Web services.